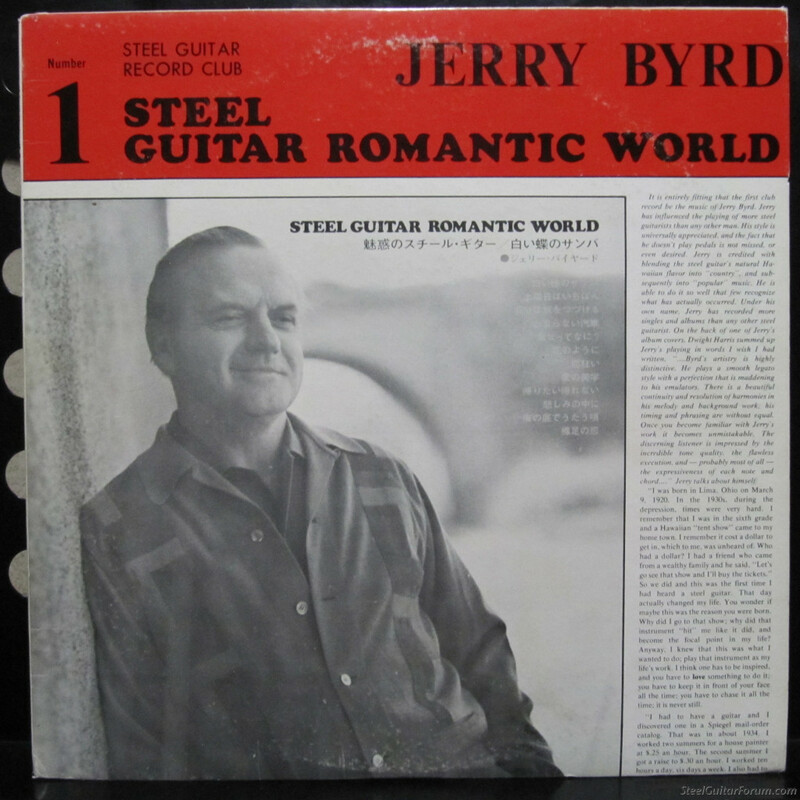 Jerry Byrd's "Steel Guitar Romantic World" LP ends with beautiful song entitled "Love of Bare Feet". The album is a collection of Japanese pop songs. I suspect something was lost in translation of the title. A Google search turns up nothing. I love this song. Byrd's rendition gives me goosebumps every time I hear it. So emotional! Does anyone here know anything about the song? Everybody talks about the glories of going barefoot but nobody talks about the broken glass and dog do do. Sorry, couldn’t resist! I haven’t heard of that album. Where did you find it? I was a member of the Steel Guitar Record Club from its inception. I have all of the LPs, but they are pretty well worn. I played them a lot! As I recall, I gave it a negative review which you actually printed in the letter that accompanied the next LP. Needless to say, the LP grew on me and has become one of my all-time favorites. Thanks for bringing that wonderful album to the US. I'll try to digitize the song. The back of the Lp informs us Jerry used his Rickenbacker 7 stringer with his diatonic tuning for this recording. Yes, there are some places where he does 4 consecutive scale notes with perfect, silent blocking. You don't hear that too often on lap steel. In which studio was the recording made? Posted 12 Apr 2019 3:44 pm Studio where recorded? I don't recall that Jerry told me where he added the melody lines to the recording, but he added his part in Nashville. What he did say was that the tape (whether 8 or 16 track, I don't know and can't recall if Jerry told me) was sent to a studio in Nashville. The original background music was recorded in Japan, and paid for by a wealthy fan of Jerry's music. Jerry was not familiar with any of the tunes, but one track did have the melody line provided for each tune. I don't recall what the instrument was that played the melody line. Jerry was told to just play the songs as he interpreted them. Jerry said it was the most difficult recording he every made. When he finished adding the melody line to the tracks, the Nashville recording studio returned the master tape to Japan where it was released and distributed in Japan only. Jerry said he never received payment for his work on the record and didn't know if even the recording studio in Nashville did. He never heard another word from the Japanese producer. He said he had been stiffed. When I decided I wanted the Club's first release to be that record, Jerry told me to go ahead and release it, and if I was contacted by the owners of the recording, that he would take all the heat that might come my way. He said he would claim to have authorized the album's release as a means of getting some payment for his work on the album. For all how knew Jerry, his word was his bond. Therefore, I reproduced the album and paid Jerry an agreed-upon royalty. I never heard a word from Japan, and the album was sold to many in Japan apart from being one of the Club's selections. I created an MP3 of the song so you all can hear it. Yes, it was a translation error. 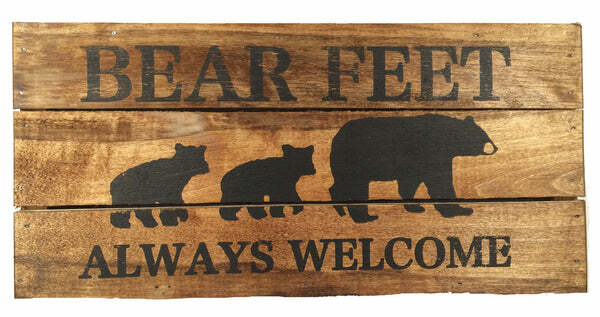 The title is supposed to be "Love of Bear Feet". That was beautiful. Thanks for posting the mp3 bOb. This LP is beautiful. I have the Record Club LPs and the original LP produced in Japan. 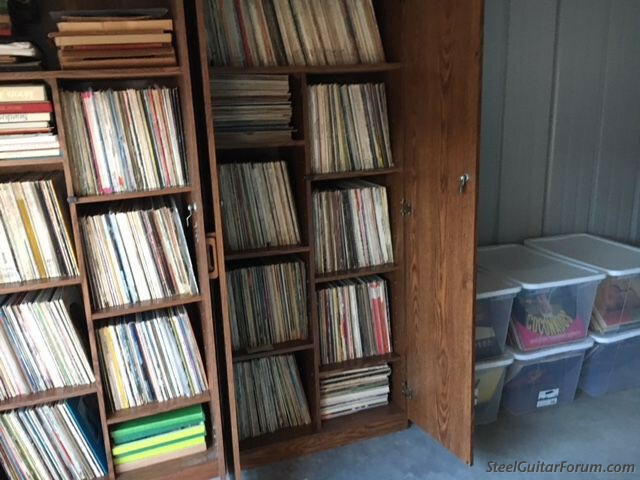 I have hundreds of Hawaiian, Polynesian South Sea Island, C&W, New Age,Santo & Johnny,etc etc LPs. Most of them are for sale. Lots of cassettes and CDs also for sale. Wally, does the original Japanese LP have songwriter credits? I'm curious about the origin of this song. question immediately but I will in the next few days. 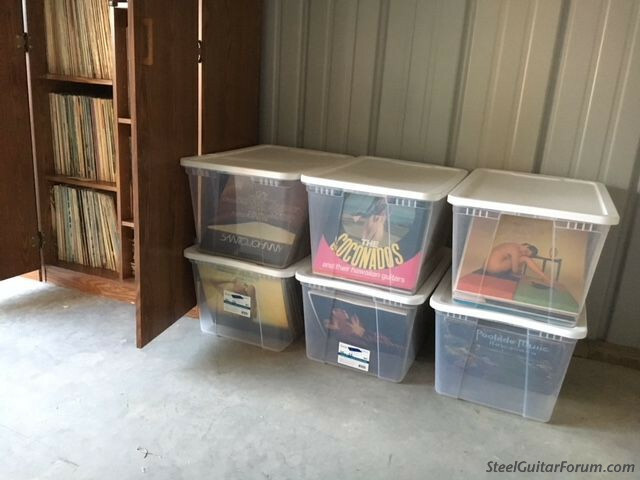 I have all my LPs in a storage facility and not at my home. The facility is only a few blocks from here. Thanks, b0b! I'm still amazed at what a total musician he was. He can't have been too familiar with that music, but he really handled it well, orchestration and all. It reminds me a little of his work in Polynesian Suite...it has an exotic world music vibe about with some Spanish flavor and shades of Japanese eleki in there. I found almost a complete set of the first series in Amsterdam of all places and snatched them up. I adore Jerry Byrd's playing!